Successfully Added ThL W100 Android 4.2 Phone - Quad Core 1.2GHz, 4.5 Inch Display, 4GB Internal Memory, 8MP Rear Camera (Black) to your Shopping Cart. 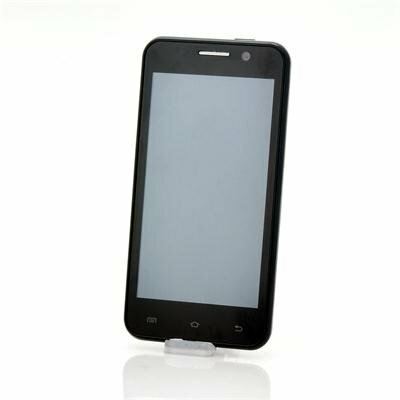 4.5 Inch Android 4.2 Phone featuring an impressive Quad Core 1.2GHz processor, 4GB Internal Memory and an 8MP Rear Camera makes this a great wholesale choice for anyone who wants a high spec phone. Quad core phones are becoming increasingly popular but still remain expensive due to their technology. This phone known as the ThL W100 phone, breaks the rule and has become the exception as it has a quad core 1.2GHz processor but for a much cheaper price than its competitors in the quad core market. The advantages of a quad core CPU is that it makes the phone's operating a lot faster and more efficient especially when running several applications simultaneously while multitasking. With more than 10 years of experience manufacturing Android Phones, ThL has managed to establish a broad customer base in both Europe and America. As one of ThL’s newest phones line of Quad Core phones, the ThL W100 features a high-end 4.5 Inch HD screen with a high 960x540 resolution, yet the ThL W100 costs a lot less than similar spec rivals. A quality designed phone with high specs, this ThL W100 is a great choice for anyone wanting to get a lot of phone for less money. This product is in stock and can be dispatched within 24 hours of ordering with a 12 month warranty. Brought to you by the leaders in wholesale electronics and Android phones, Chinavasion. Excelente smartphone gran calidad y valor por el precio pagado, es la mejor opción si quieres un celular de bajo costo y excelente rendimiento. Todo Perfecto,según descripción y tramitación rápida. I had wanted this phone months prior but never took the leap to buy it, until a week ago. I've had the phone for almost a week now, and I must say, I am impressed. This phone is fast and sleek, and performs very well with everyday tasks; facebook, email, browsing, music, video, gaming, etc. 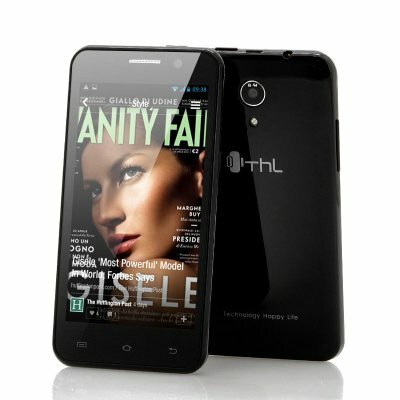 I highly recommend this phone to anyone looking for value for money ─ the THL W100 is value for money! Not much to say here, only that I wish I had a second battery and a case with the phone. This phone is amazing! It is easy to use, it has everything I wanted in a phone and more. I haven't used my laptop since I received this phone in the mail. I can't find a case to fit it and chinavasion doesnt sell cases for there phones.